When it comes to choosing a possible planet for humans to inhabit, Mars is our best bet. Mercury is so hot it melts the rocks. Venus won’t work, either. 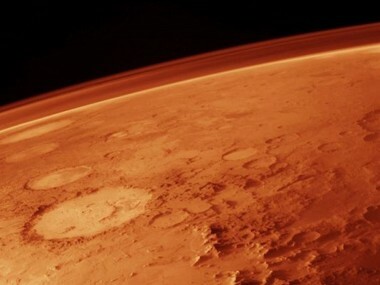 Sure, Mars only reaches room temperature on hot days in the summer. But surely a population as good as ours at warming planets should be able to figure something out, right? “It’s a fixer-upper of a planet but we could make it work,” SpaceX founder Elon Musk said, speaking at D11 on Wednesday. Musk said without creating a means to establish life on Mars humans are just waiting around for some sort of extinction event to strike Earth. “It’s difficult but achievable, and I think we should really try our hardest to make it happen,” Musk said. Plus, he added, it would be kind of cool to die on Mars. Musk has some interim steps in mind before setting up shop on the red planet. He’s currently focused on encouraging the state of the art in space transport to improve every year with the goal of soon having a rapidly reusable spacecraft.